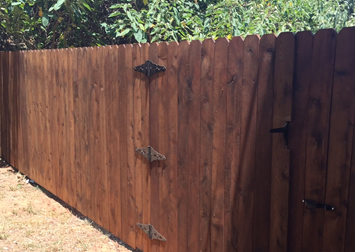 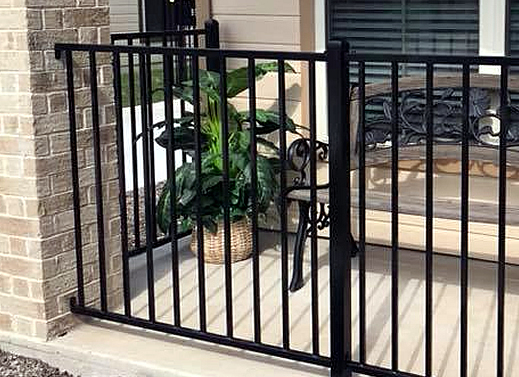 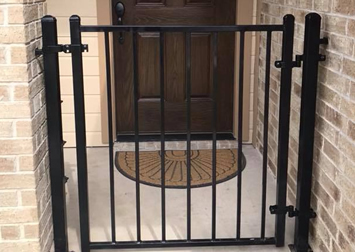 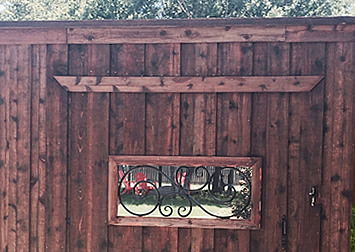 Wrought Iron Fencing is esthetically attractive and allows a visual access of clarity. 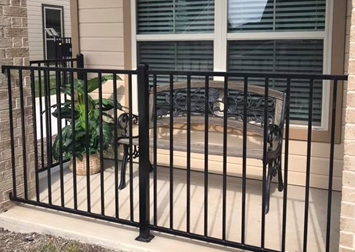 Wrought iron fencing is often used as a pool border providing a safe enviroment inside and outside the fence. 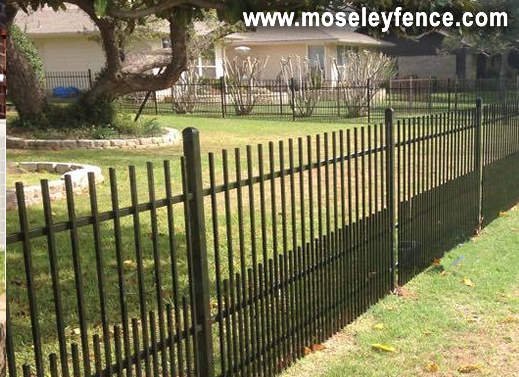 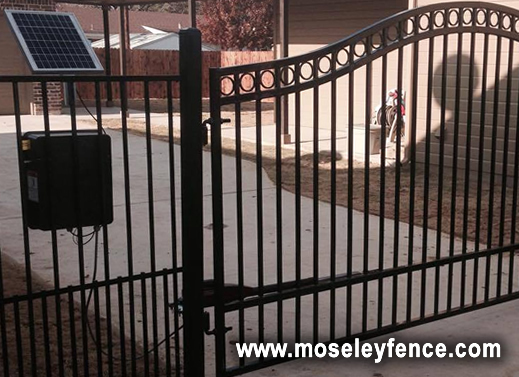 Moseley fence has welders on staff to make a unique fence "all your own". 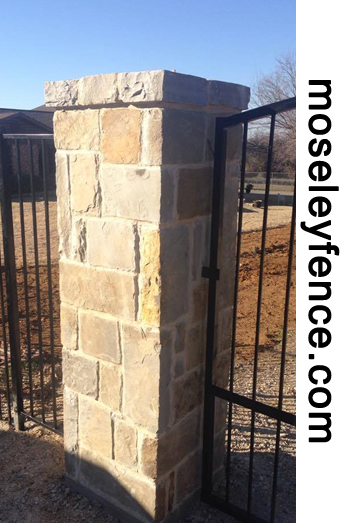 In certain topographical areas it is also helpful to add mow strips or concrete curbs. 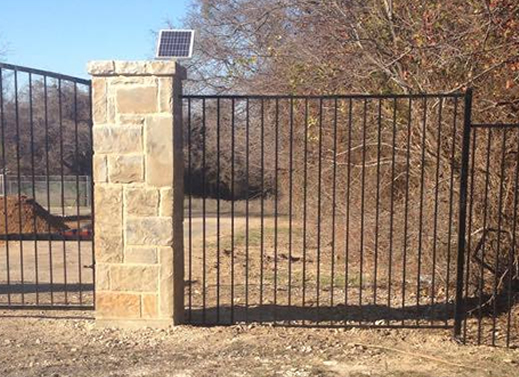 Wrought Iron Fencing (pool fence) in Burleson, Cleburne, Aledo, Alvarado, Joshua, RioVista, Godley, Aktin, Granbury, Grandview and Glenrose.